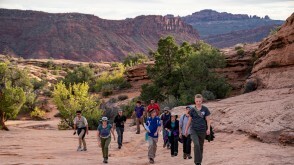 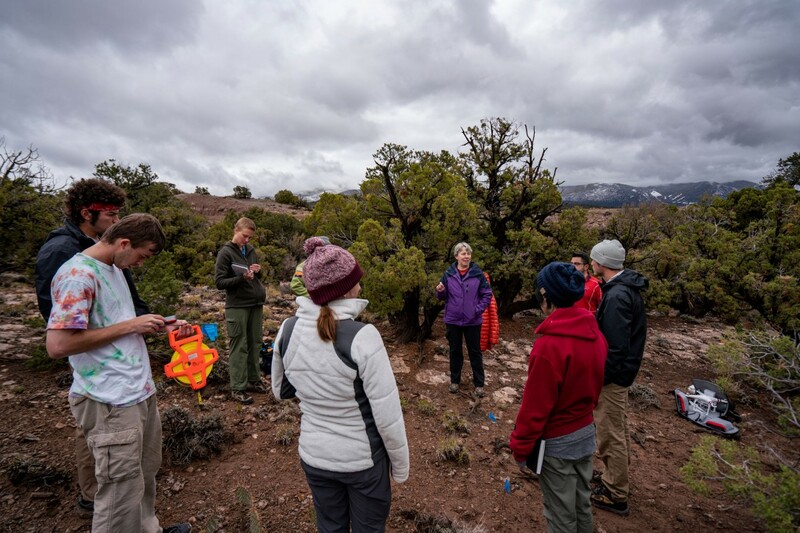 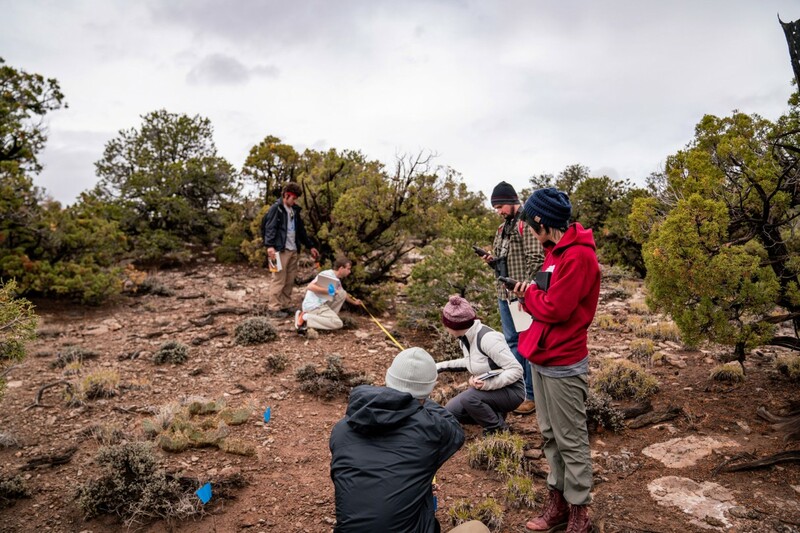 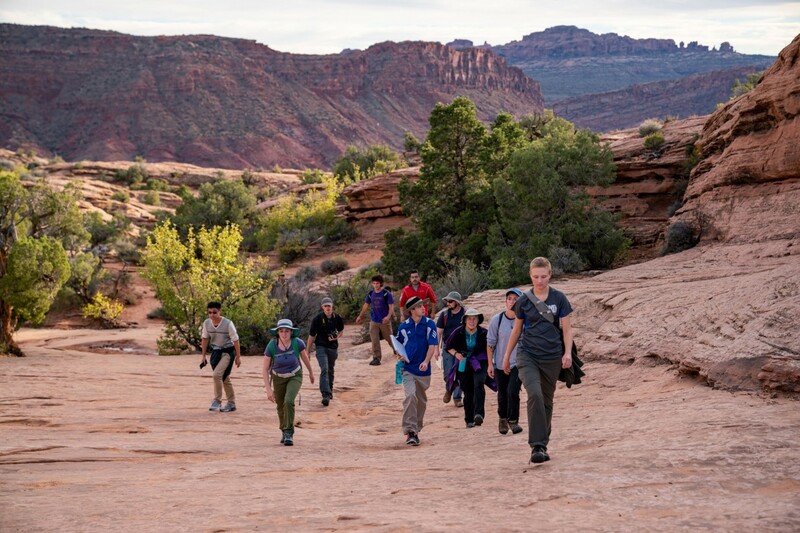 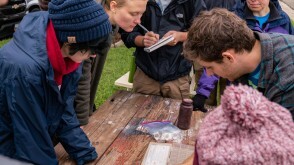 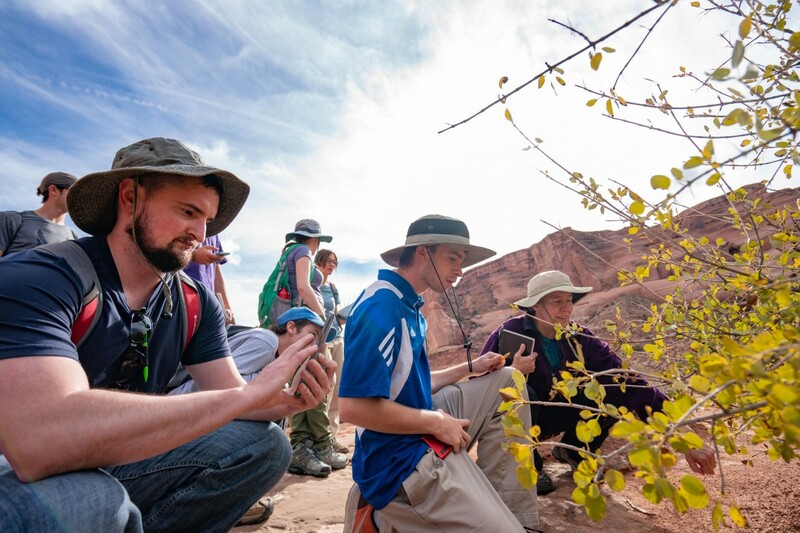 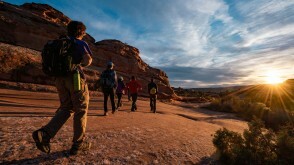 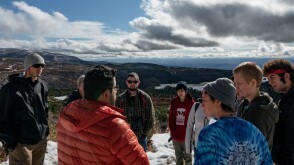 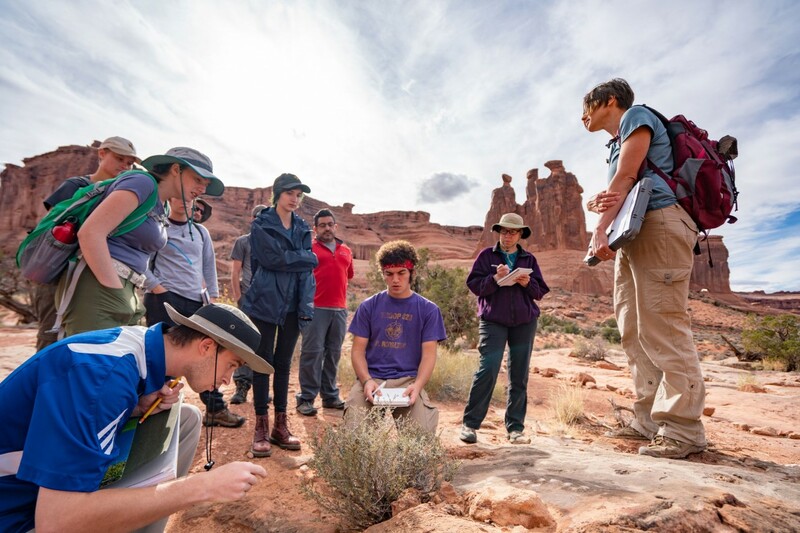 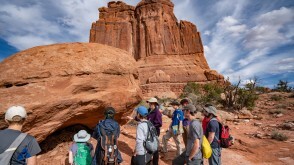 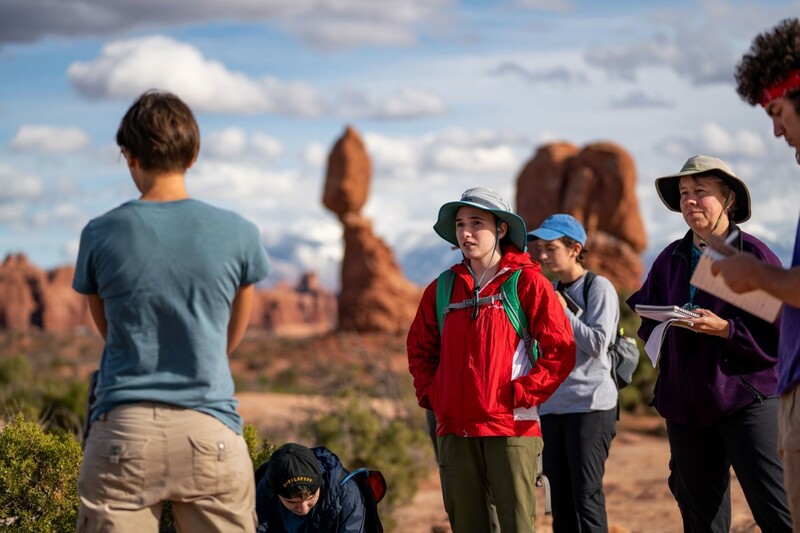 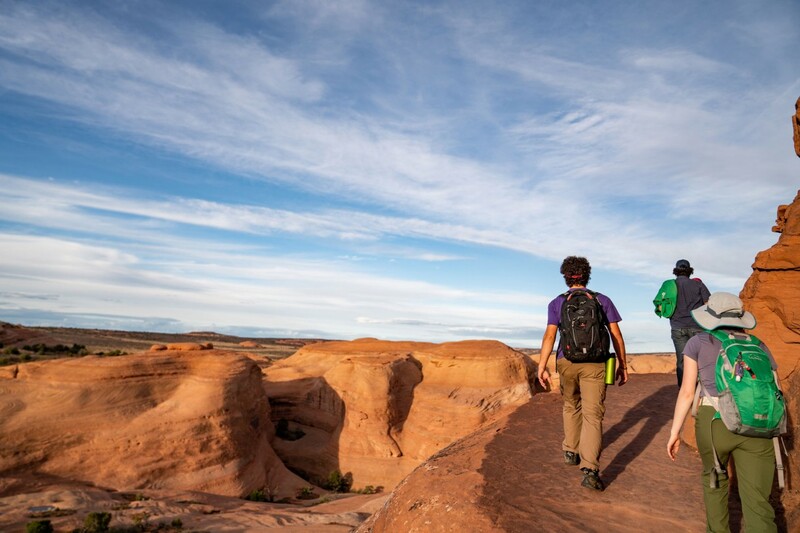 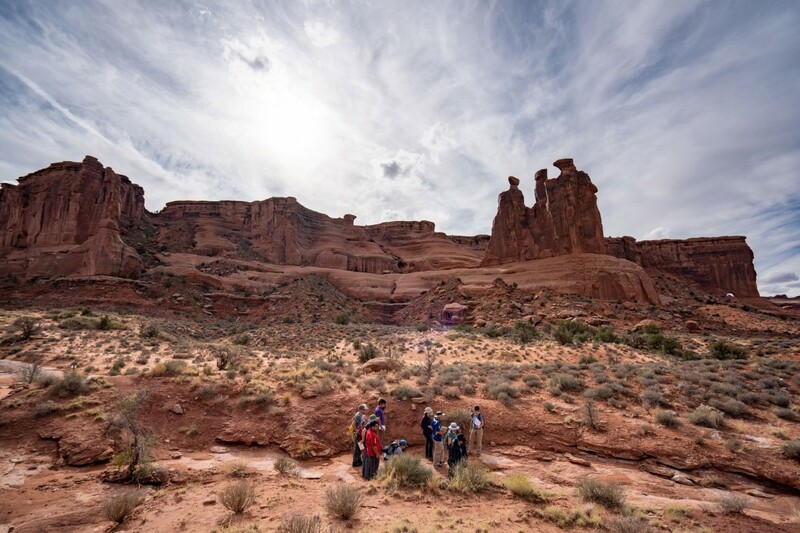 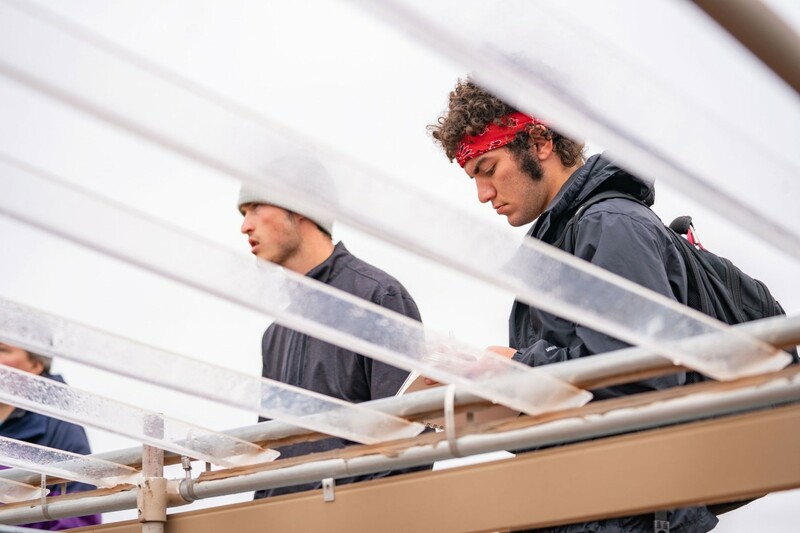 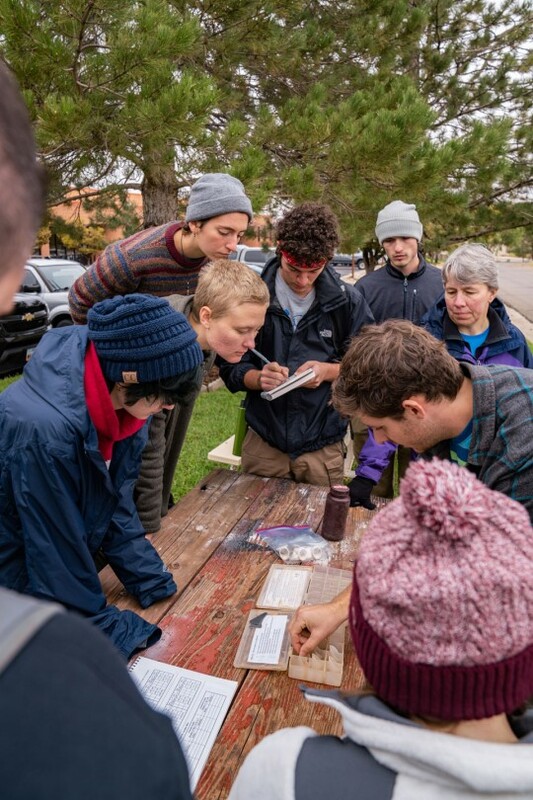 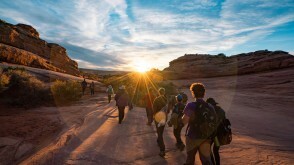 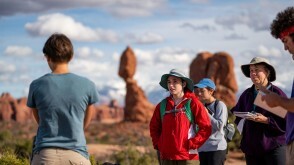 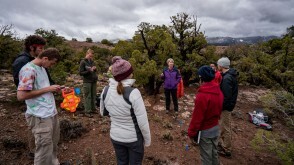 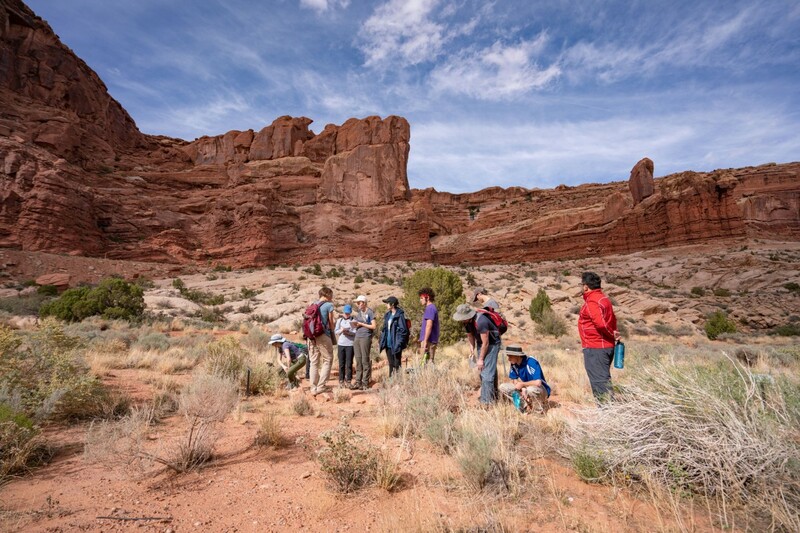 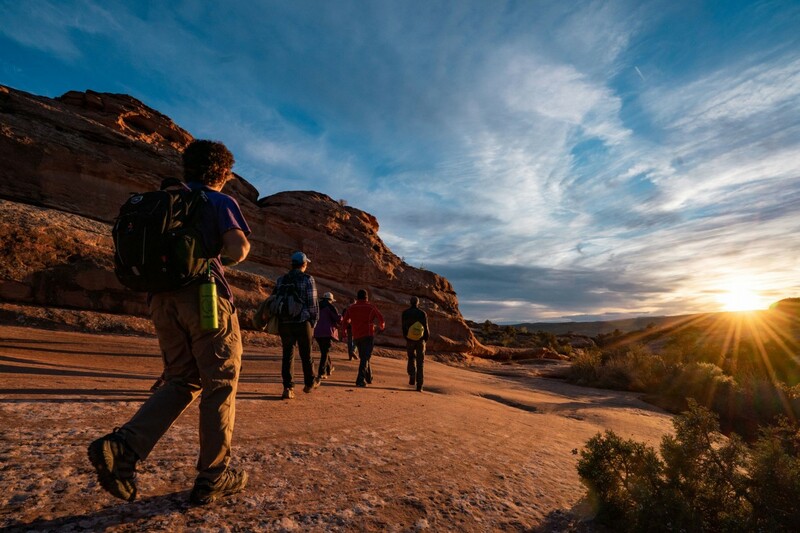 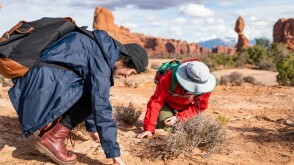 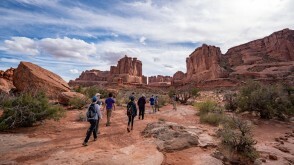 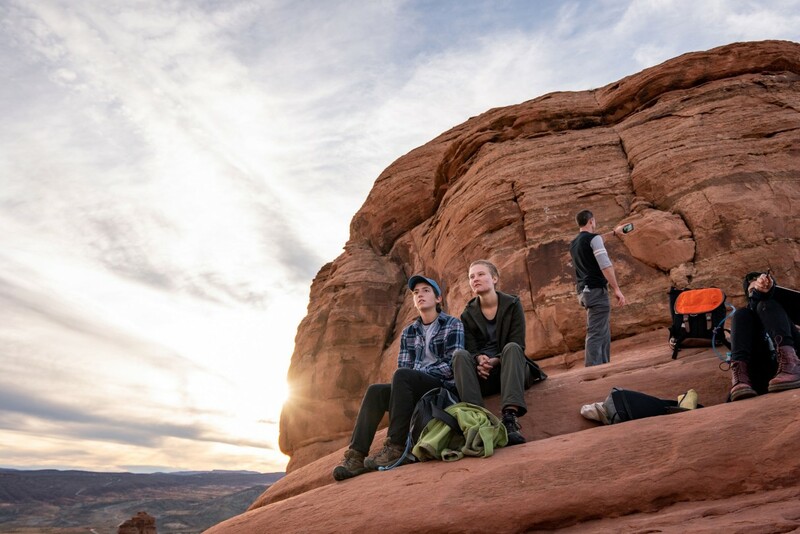 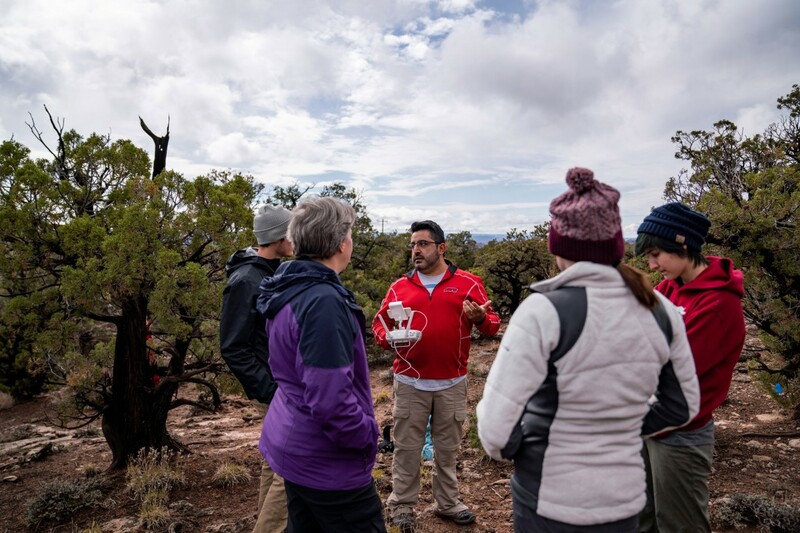 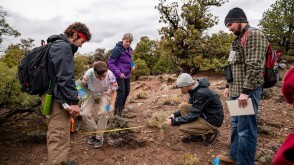 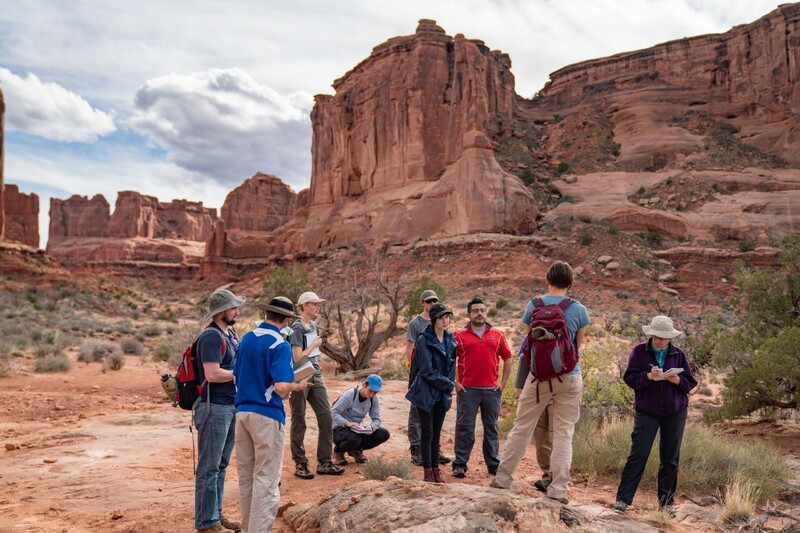 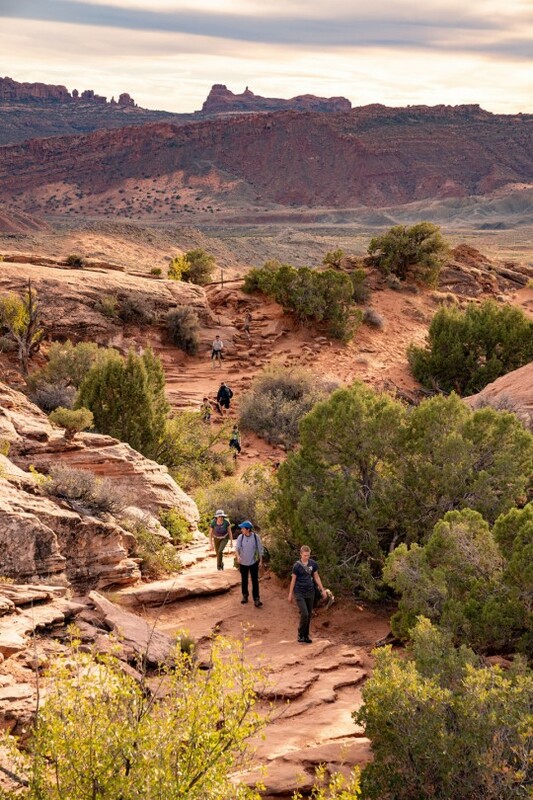 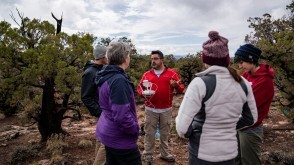 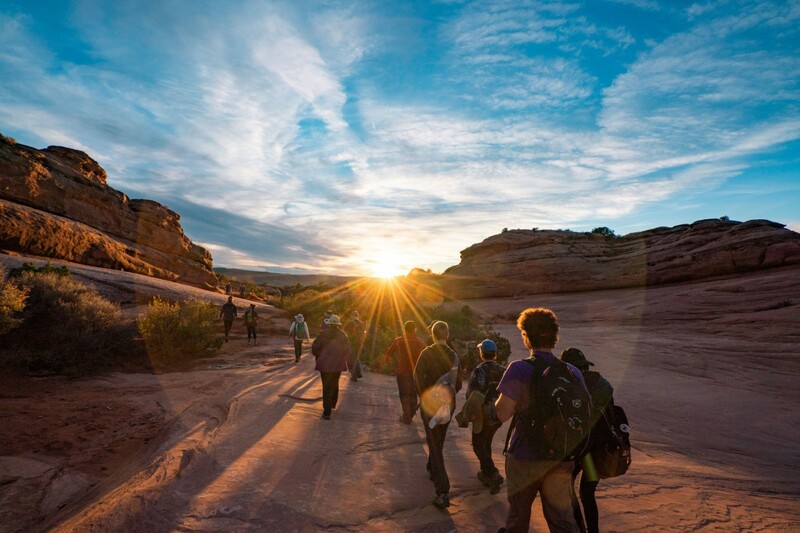 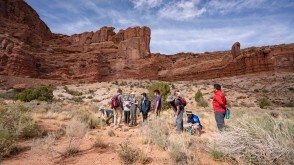 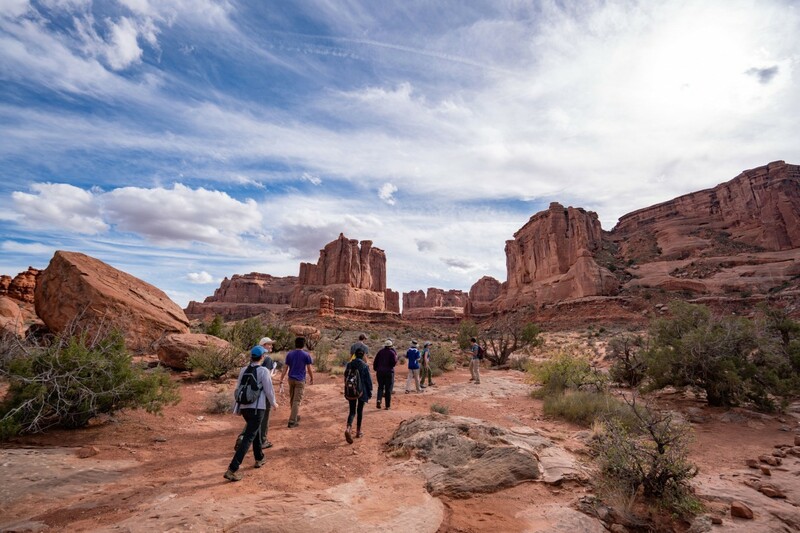 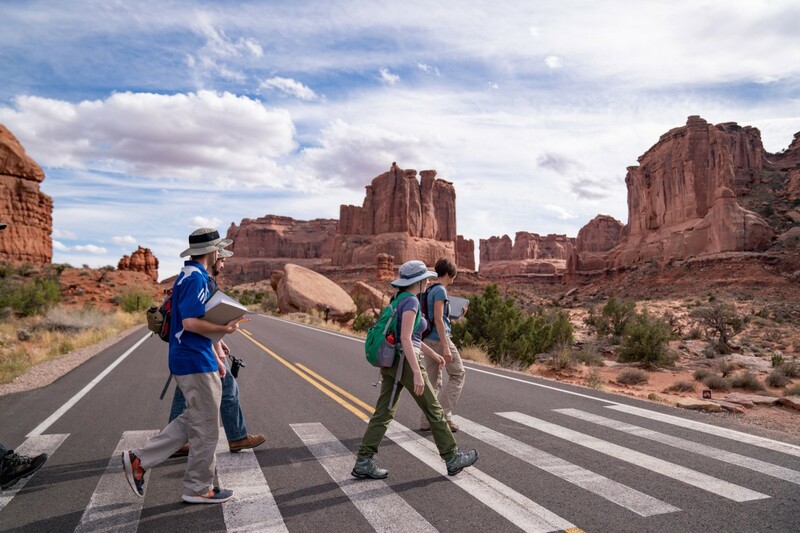 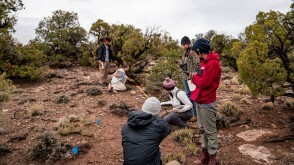 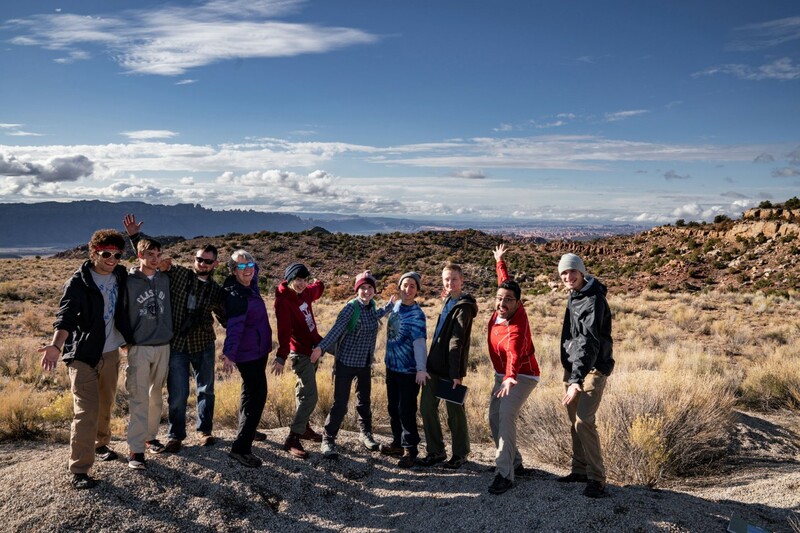 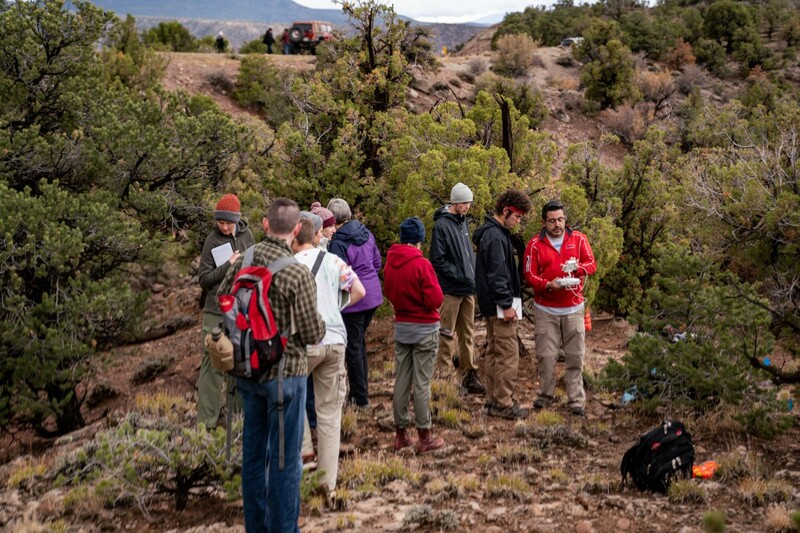 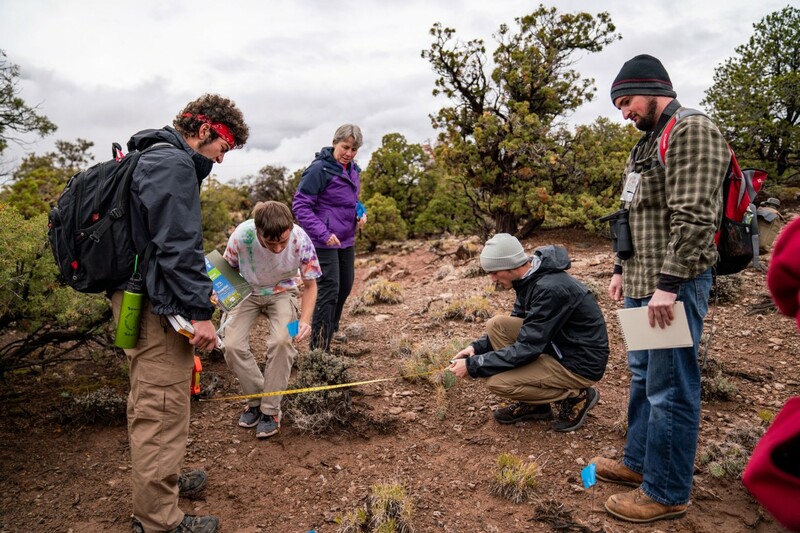 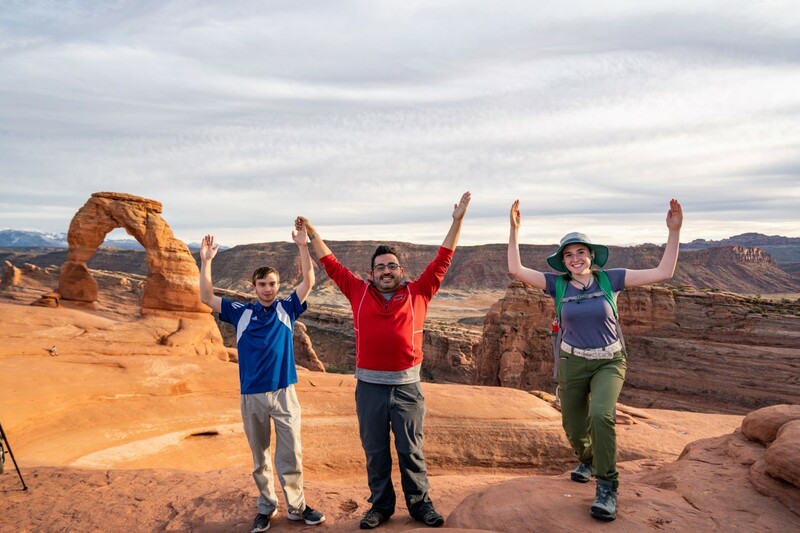 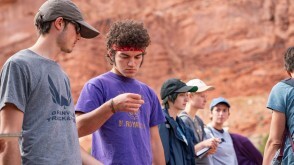 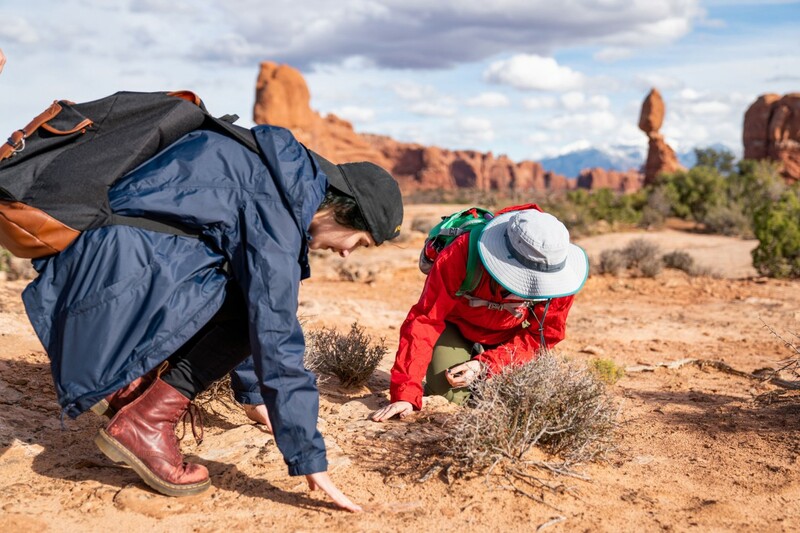 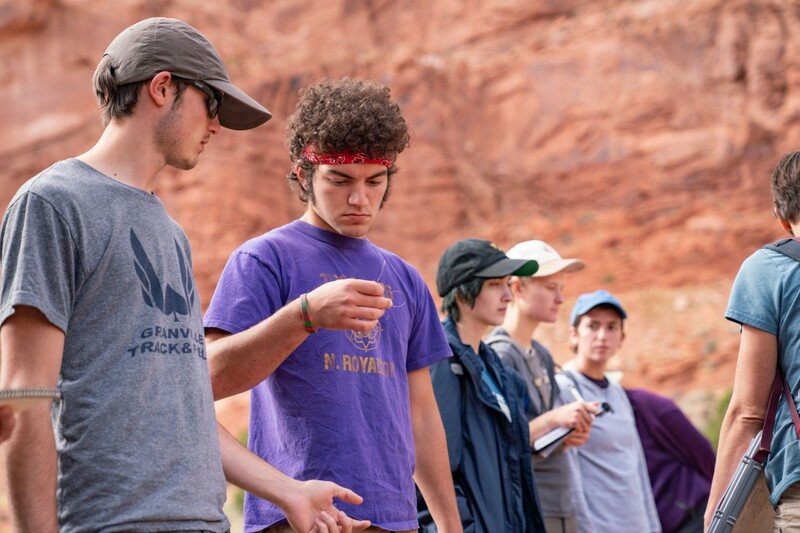 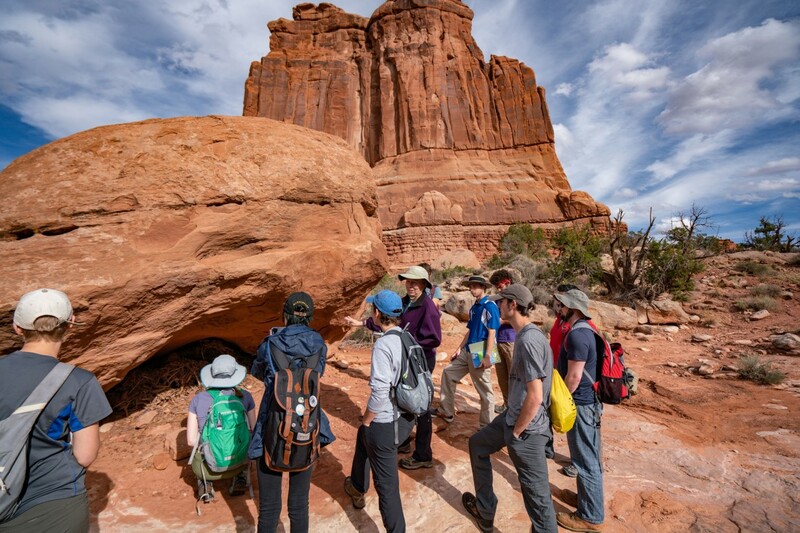 Ohio Wesleyan students took the classroom outdoors as they traversed and studied the environments of Utah during a recent OWU Connection experience. 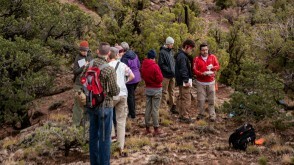 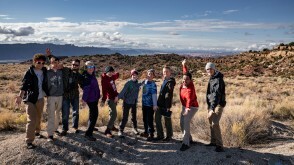 For their Travel-Learning Course, “Plant Communities and Ecosystems,” eight students traveled to Utah during mid-semester break with botany and microbiology professor Laurie Anderson, Ph.D., and assistant professor of geology and geography Nathan Amador Rowley, Ph.D.
“The goal of the course was to allow students to compare ecological processes, plant community traits, plant adaptations, and human pressures on the environment in desert and temperate forest ecosystems,” said Anderson, a member of OWU’s faculty since 2001. 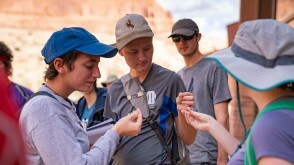 Dustin Braden ’21 said the experience has helped him to better understand the importance of topics discussed in class and to see more clearly how those lessons apply to real-life scenarios. 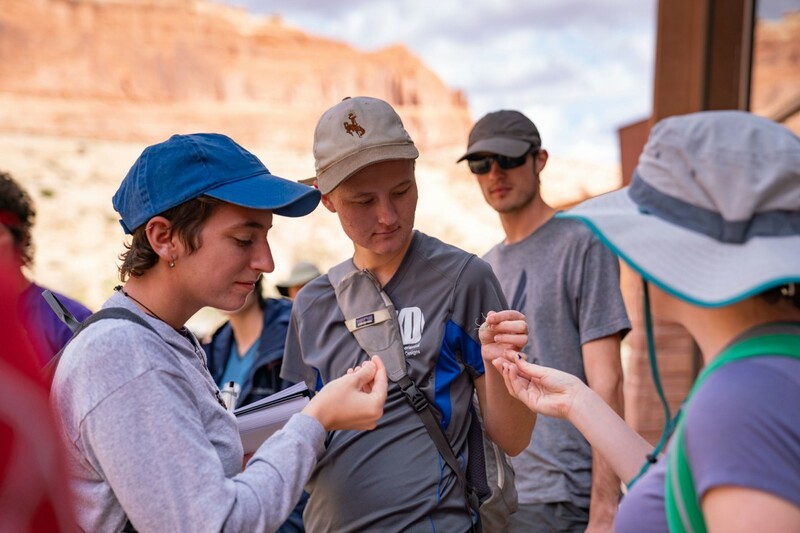 “I chose my Travel-Learning Course because I was interested in looking at a new aspect of the environment beyond what I’ve already learned and experienced,” said Braden, an environmental studies and geography major with a minor in communication. 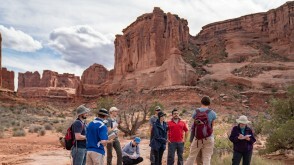 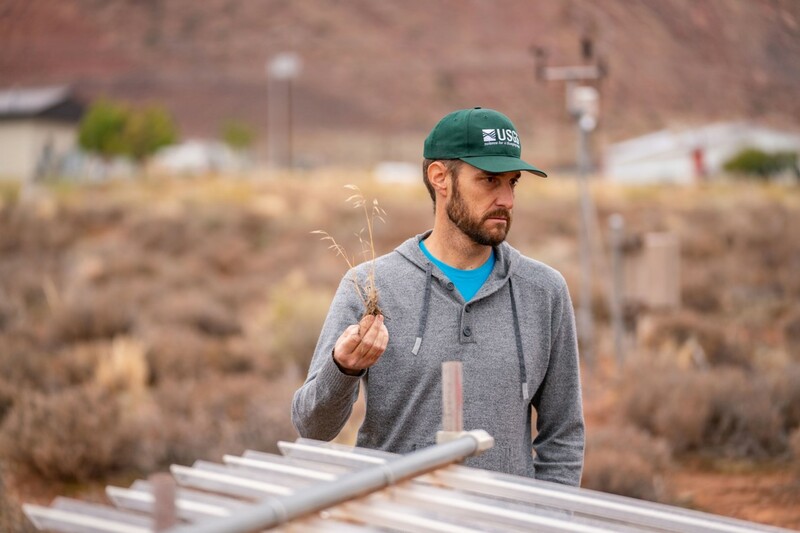 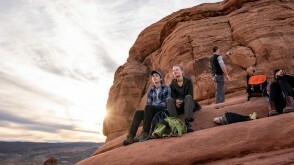 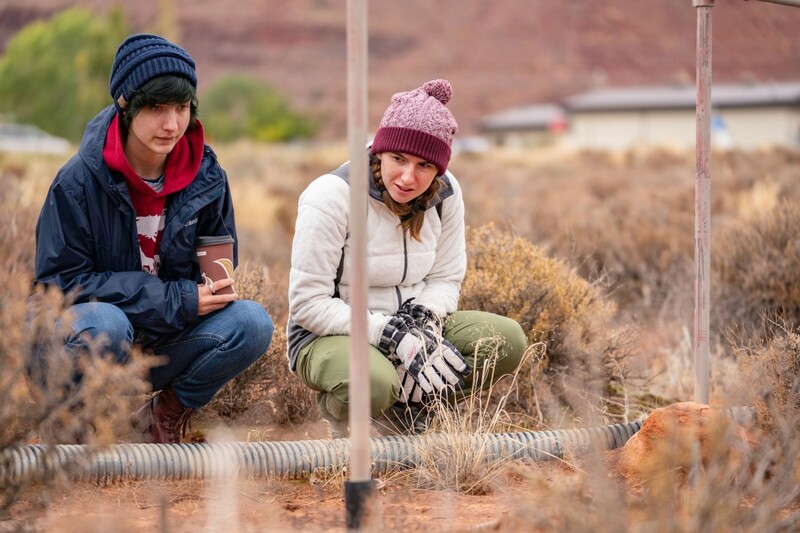 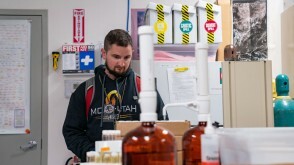 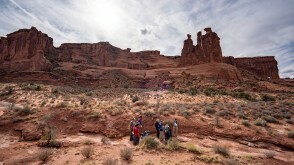 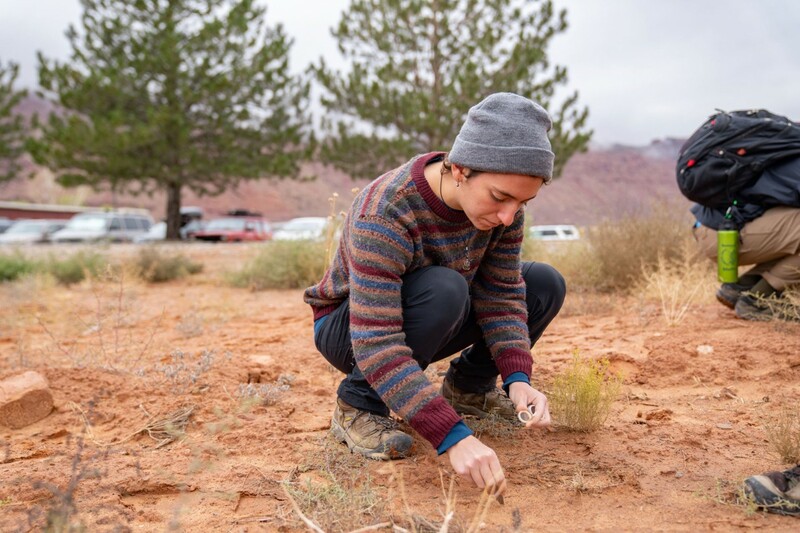 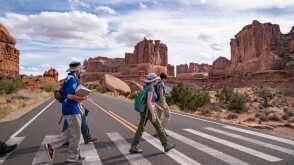 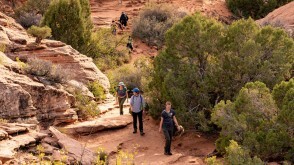 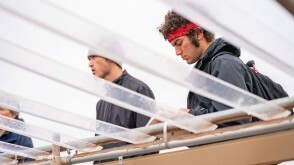 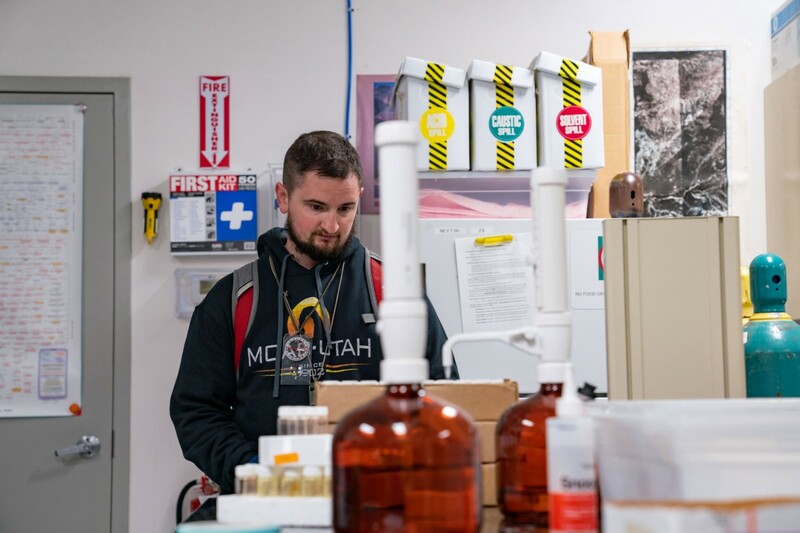 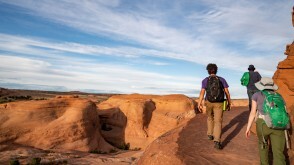 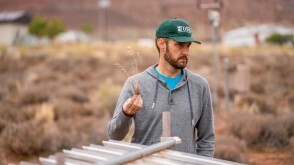 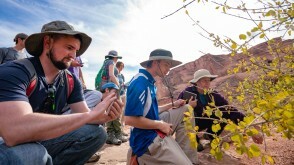 He said classes like this – which included meeting with scientists who study Utah’s different environments – are one reason he chose to study at Ohio Wesleyan. 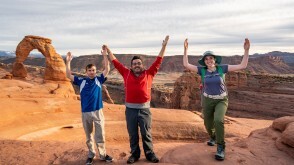 Watch a video about the group’s Utah experience, read more about The OWU Connection, and plan your OWU visit today!